The advantage of finding angry birds golden eggs is you can unlock additional levels and even physics puzzles angry birds golden eggs is a game which is designed for iPhone, Android, iPad and personal computer or pc. It is one of the highest and best selling games on iTunes App Store as the game is very cleverly designed and the players get addictive to it slowly and the main important part of the game is angry birds golden eggs as it helps the player in unlocking many cool bonuses. A level is completed when the game feels that you have mastered it and the player gets a star upon completion of that level. However finding the angry birds golden eggs is not so easy most of the times. The player has to get 3 stars in every level in order to get them or angry birds golden eggs may be hidden under any random item or in the corner of the screen. 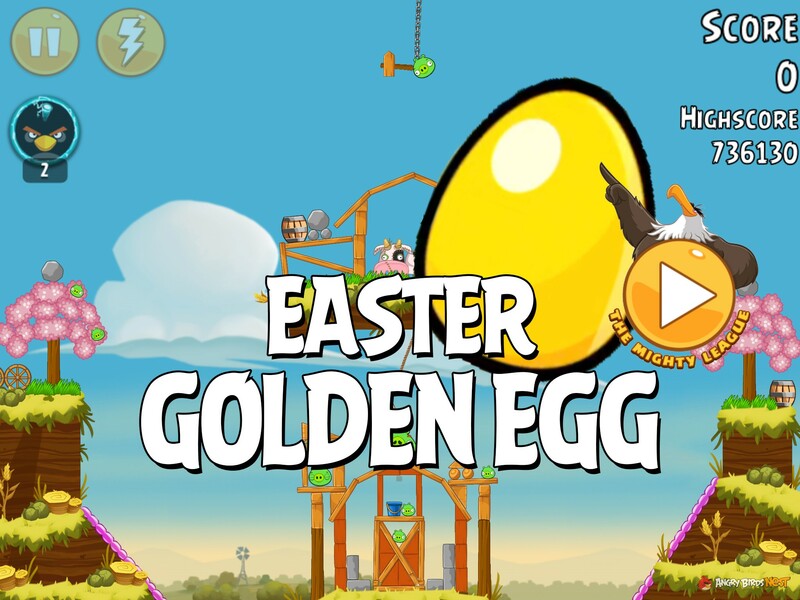 You will get all the steps on how to get all 27 angry birds golden eggs below. Golden Egg Number 1: in order to get your first angry birds golden eggs you have to pause any level and just click on the question marke “?” which can be found at the bottom left hand corner and you will find the egg on the white bird. Golden Egg Number 2: You can find your second angry birds golden eggs from level 5-19 and the egg will be located on the right side of the screen to obtain it you have to through a yellow bird towards this direction and you will see the egg when the screen goes up a bit. Golden Egg Number 3: the player can find this egg in Poached Eggs level 2-2 only thing you have to do is get rid of the beach ball. Golden Egg Number 4: To obtain you fourth angry birds golden eggs you have to score 3 stars on each level o Poached Eggs, which is not so easy but with a little practice you, can achieve it. Golden Egg Number 5: The player has to get 3 stars on every level of mighty hoax and this is another tough angry birds golden eggs. Golden Egg Number 6: This is one of the simple one as you don’t have to do much but just press the i button on your screen and when you look at your credits the egg will appear beneath the white bird. Golden Egg Number 7: You can find this egg in level 1-8 of Poached Eggs you just have to hit the chest and hold the mouse button just over the treasure chest. Golden Egg Number 8: To find this angry birds golden eggs hit the sun, which is located at the bottom center of the screen and on the episode just, select the screen. Golden Egg Number 9: You will get this golden egg in level 4-7 of Mighty Hoax you just have to zoom out and you will find the golden egg on the top of the cliff you have to make sure that you aim carefully and hit with a yellow bird. Golden Egg Number 10: You can find this angry birds golden eggs in level 6-14 of Danger Above the player need to break the yellow balloon you can use either the Boomerang Bird or you can even bounce the yellow bird off the tree. Golden Egg Number 11: You will get this golden egg also in Danger Above level 8 just drag the screen on the far right and click on coming soon screen and you will see that the golden egg appears on the right. For Mac and pc user you have to click inside the window and drag in order to find the golden egg. 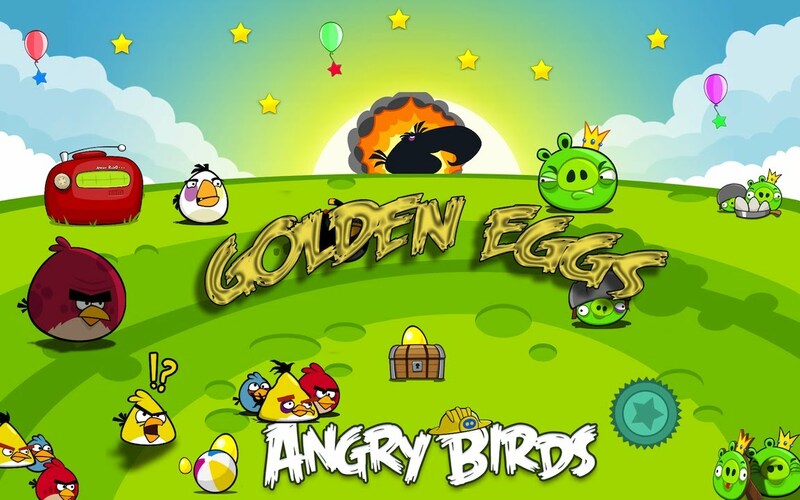 Golden Egg Number 12:To obtain this angry birds golden eggs you have to obtain 3 stars in every level of Danger Above. Golden Egg Number 13: You can get this golden egg just by bouncing one fo the yellow bird of the trampoline or you can even use Boomerang Bird and you will find this in level 8-15 of Danger Above. Golden Egg Number 14: You will get this egg in level 9-14 of The Big Setup just zoom out and you can find the golden egg on the bottom right of the screen with a hard hat you can use Boomerang Bird to obtain this. Golden Egg Number 15: You will get this golden egg by smashing the duck underneath the bridge in level 10-3 of Big Setup. Golden Egg Number 16: The sixteenth angry birds golden eggs can be obtain in level 11-15 of Big Setup you just have to zoom out and you will see the golden egg on the left just below the slingshot and you can use Boomerang Bird for this. Golden Egg Number 17: This golden egg is hard to get as you have to score 3 stars on all levels of Big Setup. Golden Egg Number 18: This is the toughest one and you can find these angry birds golden eggs in level 12-12 at Ham Em High you have to demolish the trophy in the middle of the level, which stands in between the two piles of jewels. Golden Egg Number 19: You can find this golden egg in level 13-10 you just have to zoom out and you will find the angry birds golden eggs hanging above the level. You need to be accurate, as you have to launch a white bird and drop an egg at the correct moment to fly up and hit the hanging egg. Golden Egg Number 20: Just find the right timing and launch the white bird backwards in Ham Em High level 13-12 and you have to be prompt to drop the egg before he goes off the map. Golden Egg Number 21: You will get this Golden egg in level 14-4 of Ham Em High and you will notice the golden egg on a cliff at the right and you have to send a yellow bird at the right timing towards the cliff tapping to obtain this golden egg. Golden Egg Number 22: Getting this golden egg is not so easy as you have to score 3 stars on all level of Ham Em High. Golden Egg Number 24: You will find this golden egg in level 16-9 of Mine and Dine just zoom out and you will see the angry birds golden eggs on the top of the cave which will be on the right of the screen. You can use yellow bird for this. Golden Egg Number 25: In order to get this golden egg you need to score 3 stars in each level of Mine and Dine. Golden Egg Number 26:You can find this golden egg in level 17-22 just zoom out and you will notice a treasure high on top of the second rock protrusion and you have to use yellow bird for this before that you should burn your red and white birds. Golden Egg Number 27: Finally you will get your last angry birds golden eggs at level 18-6 of Birthday Party you just need to zoom out and you will see that the golden egg standing on a ledge on the right hand side you can use your first two blue birds and nail them with your yellow bird speedster.